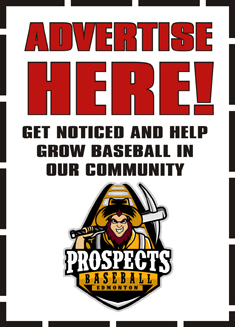 The playoff run to becoming the West Division Champions last season for our Edmonton Prospects started in Okotoks. Sunday afternoon the Dawgs extracted a little bit of revenge for unceremoniously having their year cut short in 2016 with a come from behind 9-6 win. Our Prospects would open the scoring with 2-out in the first when Erik Sabrowski singled home Jake Lanferman. Lanferman had reached base by getting hit by a pitch and then stole second base to put himself into scoring position. Australian Michael Gahan would drive in Sabrowski to build up a 2-0 lead. Prospects starting pitcher Taran Oulton’s first baserunner allowed was former Prospect Kody Funderburk to lead off the second inning. Funderburk would come around to score the first of three runs allowed in the bottom of the second giving the Dawgs a 3-2 lead. Oulton would pitch strong 3rd and 4th innings but would not be able to collect an out in the 5th before being removed the game, more on that in a moment. Anthony Cusati would hit a 1-out 2-run double in the top of the 3rd inning to put the Prospects back out in front 4-3. In the top of the fifth inning, Caeden Harris and Matt Quartel would each hit RBI singles to grow the Prospects lead to 6-3. With the score now 6-5 in the bottom of the 5th, Australian Jye Deeble would come in to pitch for the Prospects inheriting two runners with no out. Unfortunately both Dawgs runners would come around to score putting the bad guys up 7-6. Deeble would stay in the game and pitch scoreless 6th and 7th innings. Dawgs relief pitcher Tyler Burdett would mystify Prospects batters for his three innings on the mound to close out the game while the Dawgs offense would score two insurance runs in the bottom of the 8th. Play of the Game: In the bottom of the 7th with the score 7-6 in favour of the Dawgs, a 1-6-3 double play by our Prospects defense would prevent an insurance run scoring from third base. Player of the Game: Erik Sabrowski finished the night 2-for-5 at the plate and drove in the first run of the game for our Prospects.